So after a whole year for debate I finally purchased the Surface Pro 2. I know as a techie, it is odd I would wait that long to get a new gadget but this was different. Let me explain. I have been using Macbooks for years and I was a self admitted, apple fanboy! I even grabbed the mac mini , and Imac just to finish the spread. Of course I had to compliment it with IOS devices from Iphone to ipads. Like most in the tech industry, if we are being honest, we grew bored of OSX and IOS as of late. I was waiting for ios 7 but it was new for the worst. So for the sake of my thirst for something new, I hoped on Chromebook, and wow here we go again! I became fully immersed in Google and I was loving the new updates and the tons of opportunity for tinkering. Then I hit another big wall. I find myself constantly trying to find workarounds! Google tech should be called the work around tech. In the back of my head I kept debating should I dive back into windows despite the biggest deterrent the $1250 estimated expense for getting what I want in the surface pro 2. 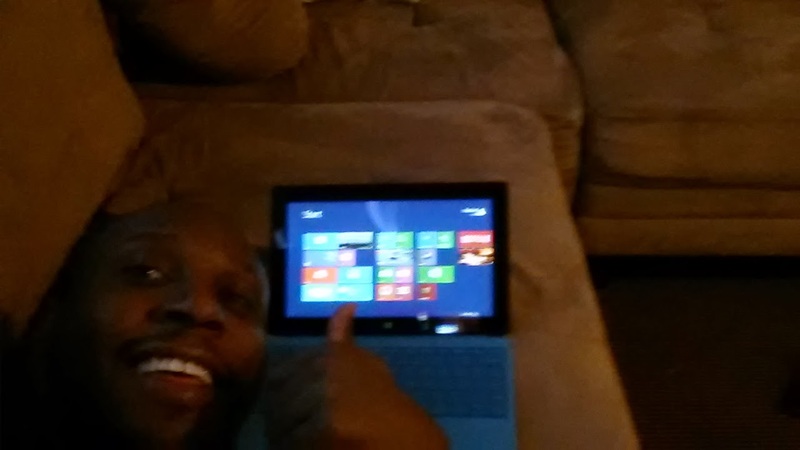 After a year, GOD blessed me with my wife deciding I can have a Surface Pro 2 as a Christmas gift. Especially because I sold my Macbook,, Chromebook, and Nexus 7 to finance. So now I give you my first week review written with my SP2. The first thing I thought while taking the surface from its packaging was , "whoa is this heavy!" Now mind you before this I had a nexus 7 so I was use to a feather light tablet. I guess that's the curse of having it in a tablet form factor, people naturally expect it to weigh like a tablet. This is a real computer and you can feel it. It didn't feel as heavy as my Acer C7 Chromebook or even much heavier than my ipad 3 but it was definitely no ipad air or nexus 7 (duh!). I love the smooth metal. I give that reaction when I see a luxury sports car, like woah. The surface pro looks like something apple would make, trust me that's a compliment. The initial boot up was 15 seconds, this is amazing on first starts and it asked the usual set up questions. I know it isn't as fast as the log in for Chromebook, but I think its faster than the macbook. 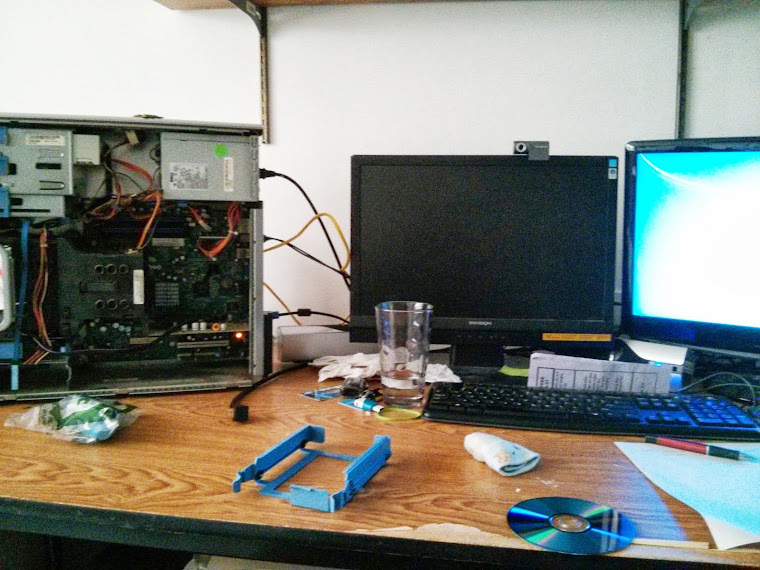 It's a lot faster than typical windows pc's so I was impressed. I thought it was cool how it automatically pulled in the desktop background from my actual desktop computer I have in the basement. It was all tied to my outlook account. Coming from apple and Google, of course I LOVE SYNERGY! I quickly became immersed in this gadget. It was fun again! I had the unfamiliarity with using touch on windows 8 in a new form factor. I also was impressed with the quick speed. I forgot how real multi tasking worked. I didn't have the pause state of ios, or the awkward windows of osx. I wasn't just regulated to tabs like in chrome but I was side by side with the snap feature. Watching YouTube tutorials on surface , (out of necessity) , on one side, and trying out what I learned on the other. It was great. 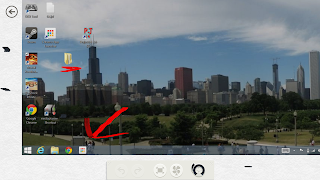 Snap Windows / multi tasking - I just covered that above. To add, I like being able to research two things at once. I was in love as I was watching +MKBHD on YouTube while scrolling through my Google+ on the other side. I was showing off , switching between screens on one side while constantly watching my video. Type Keyboard: - It is weird that from my memory, the surface is the first gadget to be judged by an accessory that doesn't even come packaged with it. I guess because the type keyboard is specific for the gadget and its built by the same manufacturer. Anyone who pays attention know that Microsoft was trying to avoid the sticker price of a $1,000 tablet but every person covering it mention how you will be like me walking out about 1250 for a 128 gig with touch keyboard and tax. I am happy though because the touch keyboard makes this a laptop. I am typing on the keyboard right now and its phenomenal ! I LOVE a good keyboard and that's what I liked best about my Acer C7. I was thinking I was going to have to give it up when I went to the type keyboard but its nice. It has a plastic but mechanic feel to it. I like the sound of the touch keys and I can feel the keys spring back to my fingers. I have never been able to type so fast on a table. I forget that this is just an accessory! I constantly kept using my track pad rather than the touch screen. I guess its muscle memory. I like that I can touch with most of the items but when its something that needs precision , I can just use the trackpad. The keyboard also shines when it comes to the biggest headache of portable computing, filling out forms! I know apple is trying to fix this with key chain , but there is nothing like pressing tab to input in different fields, and I get less errors with a real keyboard, and for the few times I do error, I have the precision of the trackpad and cursor vs the pain of trying to use your finger (highlighting by accident, moving text etc).. .I don't want to leave this without mentioning, back-lighting. As a busy husband and father I am usually regulated to typing at night and the back-light helped me not wake my wife and kids while exploring my new toy! GAMING BABY!!!!! - Steam ,,,,,,,,,,, I just wanted that to marinate. I like other pc gamers are used to high graphics, but the built in i5 processor gives us console quality games (at leaste the wii u) and when I'm on the go, I got a console with me. I was excited to install Mortal Kombat and Bioshock Infinite. Bioshock is set on low settings but still looks beautiful and console quality. Mortal Kombat keeps crashing forcing me to Google up the answer, I found out it hates the resolution so that wasn't a surface problem. The headache came with my Xbox wireless adapter. I don't know whats going on, but I guess its my device because now its not working with my monster desktop. So I used a ps3 controller with motion joy emulating like a xbox controller oh yeah baby! I wish it worked Bluetooth but from my knowledge so far, I have to choose between my keyboard and controller so im stuck on usb. I also got a emulator running roms from my 80s past... gaming is the show off part I was looking for , nothing an apple fanboy can do to outshine steam! Networking- I got it hooked up to my home network. Windows excels at talking to my networked computers! I went into my gaming rig to get games and files I needed. I was amazing that it pulled up my playon folder on my monster desktop. I printed a document automatically with no drivers needed or copy and paste or an APP! Waacom Pen - man this pen is amazing! I cant believe how amazing this pen is! Microsoft doesnt tout it enough. That was what I been showing off the most, the pen makes people go wow! I can write out anything and it turns it into text. It even reads cursive writing! I was even drawing pictures of people and drawing on it! I like that its pressure sensitive and it rejects my palm. I ususally put my tablet down and opt for a pen and paper when I am trying to do a quick note, a quick number , and draw something, but this thing can make me paperless, this means a lot for a highschool teacher. I cant stress it enough try it!! Enough of the mushy stuff lets talk a little about gripes. Two days in and I refreshed because I downloaded some questionable programs. Programs not apps , closed ecosystems protect us from our stupidtiy but windows allows us to make catastrophic mistakes, but wow I still got to put it in here. I also had my chrome browser crash when I was running it in windows 8 mode. Chrome needs help! Its sooo washed out. I am using it now because thats what I am used to using. I like chrome but the look of it is horrid. Not to mention the icons are just like you see on a chromebook so I have to use a type keyboard. I know I like it but its worth noting. It doesnt work in windows 8 mode unless you make it a default app, but once you do that internet explorer only opens in desktop mode so basically you have to chose. this is both of thier fault. Googele+ is single colum on IE and renders wrong. I guess google hates the surface. cmon google . The saving grace is the apps launcher on my desktop. I love that I can just click on the apps launcher to get all my google goodies. I still need a more pixel friendly chrome browser. Track Pad- yes I praised the trackpad earlier for precision and highlighting the text but while editing this document I discovered that I need a clickable trackpad which will help it be easier to drag to highlight. 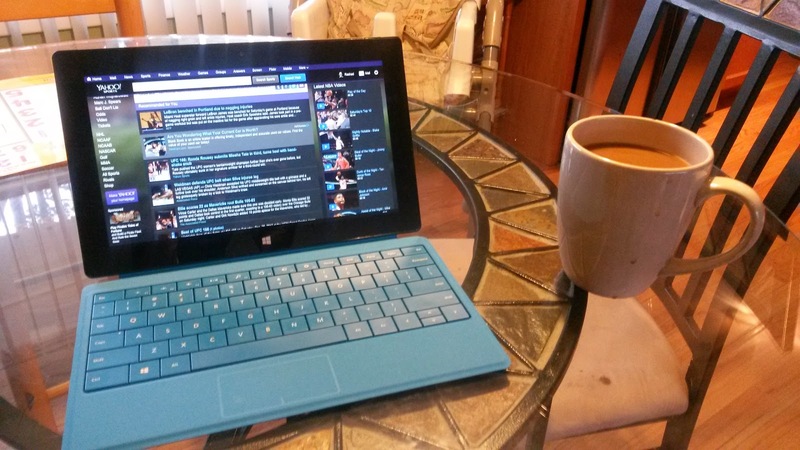 if you like to hold your tablet get a ipad air but if you like to read in your lap you can go with the surface pro. You will realize what you missing when you play steam, browse foreal, and try new things on this computer. If you ever wanted an ipad that played real games and work like a computer get the surface pro 2! This is a laptop replacement with usb and keyboard and i5 processor so selll your laptop and get this! It has a kindle reader, Facebook, Flipboard, Twitter, Hulu, Netflix app for consumption if you watch/read on your lap. The battery last a long time, I haven't went out, but I did do a hour of gaming and 2 hours of Netflix without power. But I am against the blogger grain, who really sites over 4 hours away from a plug? The pen makes it better than any other tablet. I no longer feel the need to go to my desktop to do some real work, except ripping cds but I a external reader in the mail . IT has full flash / java , so stop looking for apps and get this! I can honestly say after my Ipad, Iphone, nexus 4 , galaxy mega, nexus 7 , Chromebook, Imac, etc, purchases this past year, the Surface Pro 2 is my favorite device!